Posted on August 22, 2016 by Richard Shrubb under Competent Crew, Day Skipper, Dinghy Sailing, Sailing, Sailing Courses, Yacht Racing Comments Off on Why Are Team GB Succesful At Olympic Sailing? So, the Olympics is over again. More smiles on the podium, and hundreds of young sailors who can move on with their lives with ‘Competed in the Rio Olympics for my country’s team’ on their CVs yet who confidently could say they had no hope at a medal from the start. This isn’t to slag them off – over 9000 people competed in the Games this year and only a very few made the news with a medal round their necks. For the relatively few medals Team GB got this year, did you know that Team GB has competed in 42 medal races out of the last 43 in Olympic sailing? That means 42 teams have had a shot at a medal. That puts the Team GB elite sailing development programme among the very best in the world. Let’s look at what Team GB do right and compare them with Team USA who should be dominant given that they (rather routinely) come top of the Olympic Medals table across the board. It’s all about the RYA! UK water sports are just as unregulated as the US. Perhaps more so – US states demand that many boaters have some qualifications to ensure that they get home safely and don’t damage anyone else as they do so. The UK doesn’t even have that. The UK has the Royal Yachting Association, a single sail training programme that can take you from a wobbly landlubber to almost any level of sailing qualification you desire. Want to be the next trans oceanic explorer or Volvo Ocean star? You’d start in much the same way as your ordinary Joe who fancies pottering about in their family yacht. You’d start with a Competent Crew course and get some experience before doing a Day Skipper course. Most people don’t get beyond that. How about dinghies? You could do a RYA Dinghy level 1 and level 2 and go from there. You even have a choice of developing your skills toward dinghy day sailing if you aren’t extremely competitive and can go from there to the Day Skipper and beyond. For the racing snake you can develop your racing through the RYA intermediates and into the Sail Racing skills. There you’ll be among the very best, and can compete as far as your skills on the water will let you. There is government money in these programmes from the very start. The UK government knows that to keep its public happy it needs good sport results (not unlike the Coliseums in the Roman Empire some may say!) so there is money there even for the very young. Speaking to Team USA competitors in 2012 they told me they really envied Team GB for this fact! One of the weaknesses of the US sail training system is that there really isn’t much of an opportunity to do a national sail training programme when very young. Yes, there is the ASA yacht sailing scheme but virtually nothing for dinghy sailing. 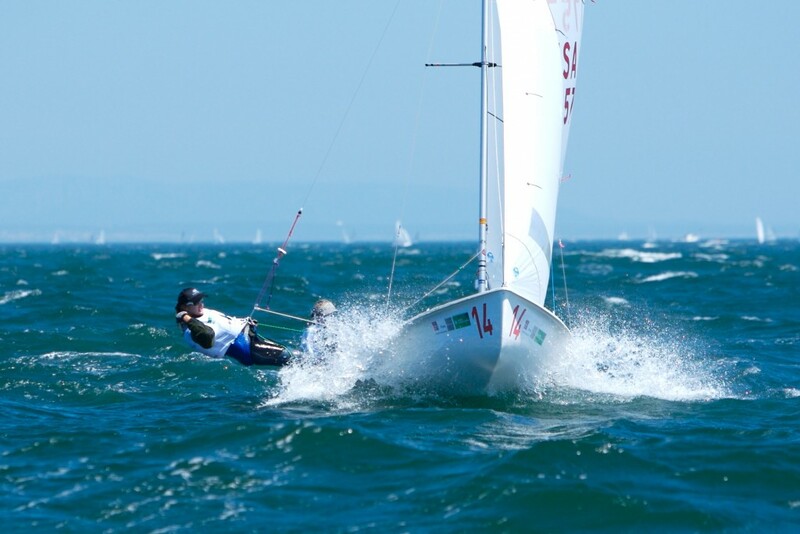 If you’re competitive you can join the International Sailing Federation (ISAF) sailing circuit – another way in for Team GB hopefuls – but there is no centralised programme for any old idiot to have a go at sailing beyond their local sailing clubs. The US college sports programme is known the world over for their brilliant output into elite sport. For relatively unskilled disciplines such as athletics you can train and compete at school, but again unless you are at an elite school with its own sailing dinghy fleet, you won’t have the years of competitive experience that your fellows in Team GB will have. Team USA got a name sponsor in 2012. Sperry Topsider sponsor the team with private money, adding to government grants in place already. They have lately developed their Youth Development Programme as a feed in towards getting into the national team. The problem is that this is very exclusive. You need a rich Daddy to get you into the club, get you trained and then drive you all over the lower 48 and beyond in order to allow you to compete among the best – and hopefully be noticed. To my understanding Team Australia and Team New Zealand have similar schemes. If your son or daughter is around 7-8 years old and really enjoys competition then the time may be right to encourage them toward an Olympic career in the UK. Don’t get me wrong – sailing isn’t cheap enough for someone on the minimum wage to get their kids sailing at that level! But if you’re lower middle class you’ve a far higher chance at getting your bundle of joy into elite sailing than if they were from the USA.